The Afghan people have faced many challenges in a short period. The Taliban era was the darkest time of our lives. Our fathers, brothers, and husbands were killed or imprisoned while we women didn’t even count as human beings. We were treated like property and denied human rights as simple as going out or showing our faces. We had no choice except to live in the shadows like a plant. Ten years ago, life came back to our green land and we shed the chains of slavery. Despite our unstable situation today, men raise their voices and find jobs. Schools reopened and women learned their rights and how to struggle for them in a male-dominated society. We owe our freedom, though still somewhat restricted, to the international community’s aid and support, especially the U.S. Army, who patiently stands against the Taliban, making sacrifices in this endless battle for the Afghan people. U.S. soldiers provide security—so we can get back to a normal life, our children can go to school, and women can work without hiding in the burqa. Despite the progress, Afghanistan has many obstacles to overcome. The Taliban still has influence and is a threat in different regions. Suicide bombers and drug dealers are operating everywhere. Poverty is a major problem. Many people lack jobs or shelter. If the government cannot help with these things, how can it support its own army to provide security to people? We fear that Afghan soldiers are defecting to the Taliban or terrorist groups for money. This has happened—where international forces thought they had the support of an Afghan army officer, it turned out they did not. 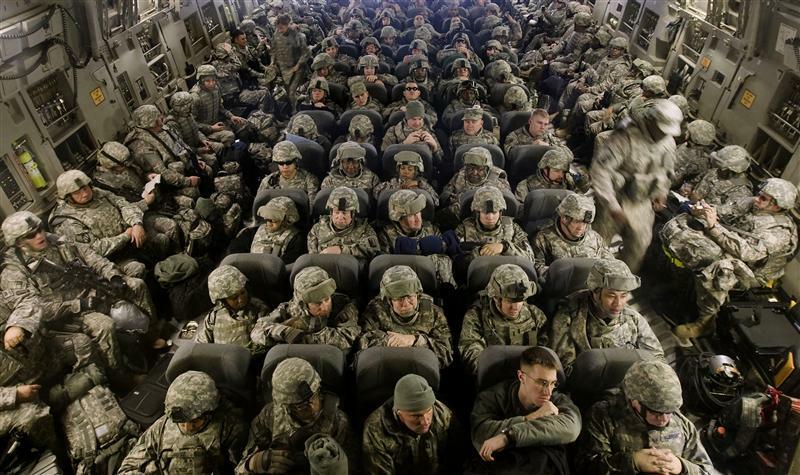 Although since 2009 the U.S. has been discussing the withdrawal of American soldiers from Afghanistan, President Obama’s speech on June 22, in which he announced that the pullout of American troops will start in July, should sound a warning alarm for us. I am not optimistic that our government can provide us with peace and security. Even with the U.S. Army here we cannot get safety. The suicide bombers at the Intercontinental Hotel in Kabul—a major hotel used by the Afghan government and foreigners—is just the latest example of this security problem. The Taliban claimed responsibility for the incident, which killed twelve people, ending only when snipers on a NATO helicopter shot down the last of the gunmen on the hotel roof. I expect the security to worsen and civil war to break out among our different ethnic groups. The international forces are keeping them united. After the U.S. soldiers leave Afghanistan, it is likely that other NATO members will also withdraw their forces. We will see more ethnic conflict and our army will end up in more fighting. When security is threatened, living conditions for everyone worsen. The newly freed voices of the women will be silenced. The Taliban will simply come down from the mountains and occupy the country. They can attack each city separately and murder people. Soon after the United States soldiers go home there will be chaos, I fear. I don’t think the Afghan army is ready to take the responsibility for Afghanistan’s security. And women, tied to cultural and religious bonds, will be repressed once again by the fundamentalist men of the country. Thank you for this beautifully written and well articulated essay. It is important for Americans to hear directly from the Afghan people how the withdrawal of US troops will directly affect you. Thank you for your excellent analysis of the current grave situation in Afghanistan. You express your pessimism and fears in a sober way that is very powerful. I hope that many people read your important piece. Thank you for writing it.